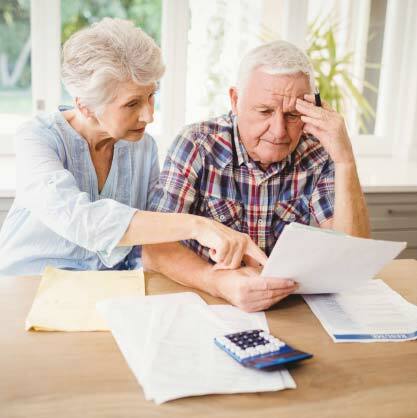 Saving and investing for retirement is probably the single most important issue for the clients of financial advisors, and outliving their retirement funds is a primary worry. Despite these priorities, however, mistakes are made, often before a client even hires an advisor or afterward, when the client fails to follow through on the advisor’s recommendation or outright opposes it. ThinkAdvisor asked financial advisors about the biggest mistakes they’ve seen retirees make. Here are their answers. Lacking a realistic retirement budget. Forgetting there is no free lunch when investing. Taking Social Security and pensions too early. Oversimplifying expected market returns, downplaying risk of potential losses. Failing to prepare emotionally for retirement. Contributing too much to tax-deferred, employer-provided retirement plans. Believing dividend-paying stocks are safer than bonds. Being too conservative with investments, ignoring the effects of inflation. Failing to prepare for the inevitable. Excluding income tax considerations from expected retirement paycheck. Find more details on each advisor’s response at ThinkAdvisor.